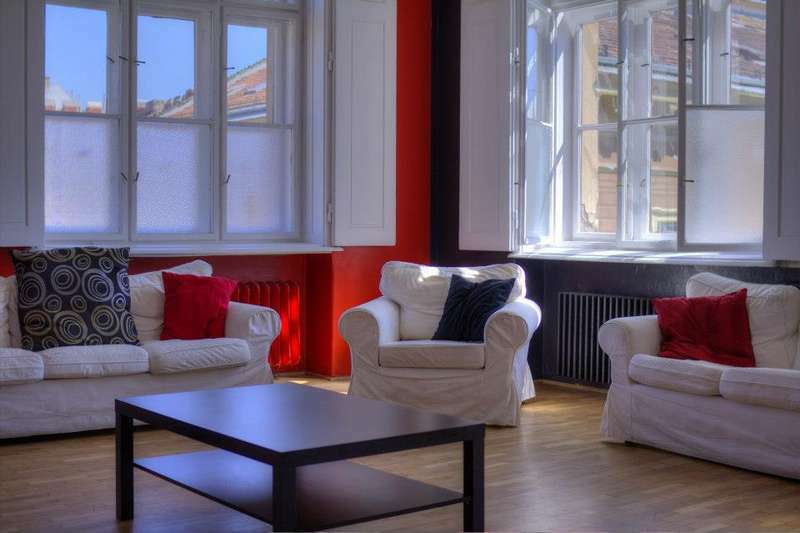 We're located close to the ruin pub area, in the so called "Palace District" full of cool old, turn of the previous century buildings, also within walking distance to some major sights like the National Museum, and the river Danube. We can reserve tables for you at the coolest restaurants with discount coupons, or show you the closest market hall if you would like to use our kitchen for cooking your own stuff. We offer many discounted touristy services like fast lane access thermal spa tickets and hop-on hop-off bus tours tickets, free walking tours, caving and so on, but if you prefer to get off the beaten track we have guided walking tours showing you not just the communist or Jewish heritage, but the back alleys and the everyday history of Budapest as well. GoodMo has a super easy access to all major train stations and to the airport, because we are located near one of the busiest public transport hubs downtown. •	Cancellation is acceptable 24 hours prior; in other case the hostel cannot give you the money back. •	Please pay for your bed when you check in or on the day of your arrival. If you want to extend your stay, please notify us one day in advance and make payment for your extra night(s) on the same day. •	The hostel is not responsible for any personal injuries or loss and/or damage of non-deposited valuables. •	No pets or other animals are allowed in the hostel. •	SMOKING IS NOT ALLOWED through all interior areas of the hostel. The only designated smoking area is at the balconies or if your room does not have a balcony, you can ask at the reception where could you smoke.